Here is the summary of work I undertook in 2017 and some updates on ongoing research. I am writing this summary while still being on maternity leave which also explains a slight slowdown of activity towards the end of the year. This year started with teaching two newly designed modules – one that focuses on methodology and theory of research and another one, Urban Identities, that aims to bring together theories of place/space, identity and belonging. The task for 2018 - is to finally design Visual Sociology module which will reflect my long-standing interest in the subject. Researching the social through visual image and critical analysis of visual representations in general have been inspirational topics for me since university and something that led me to do a PhD. While my research into homes and material culture helped me to acquire and discover new ways of seeing it somewhat diverted me from my initial interest in visual sociology so I am very glad to finally return to familiar (and still a favourite) subject. Also my blog post on ethics of research for Research Ethics Monthly can be accessed here. There were several academic events including my first ever (hard to believe but) presentation at the BSA in April talking about my new research project on AirBnb homes (slides can be accessed here). Then in June I was delighted to take part in the ERC HomInG project workshop in Trento, Italy talking about researching migrants homes, and more specifically 'diasporic' objects (here is the link to the presentation recording). I am planning to return to the BSA in 2018 to present a paper on researching identities through practices of home-making. In terms of research activity, in 2017 together with photographer Ken Kajoranta I started new research project "Airbnb people and homes" which explores Airbnb hosts’ and tenants’ experiences and travel practices as well as material and sensory environments of homes, house rules, localities and belonging. We have conducted small-scale fieldwork which will resume in 2018 and will go along with the analysis of the data as well as gathering some thoughts on still relevant concept of 'feeling of being at home' for a journal article. As always a lot to get excited about. Last week we presented our project for the first time at the British Sociological Association conference in the Cities, Mobilities, Spaces and Places stream. It was a great opportunity to get feedback and sharpen ideas on place/home making, dimensions of home, sense of home and identity, approaches to capture intangible and sensory dimensions of home and many more. It has also presented a good timing to reflect on the current state of the project and it's future directions. Currently, we are finishing the pilot stage and in May we will move on to transcribing the results and outlining directions of analysis and further fieldwork. We will be writing up the findings in a paper towards the end of the year. We are also working on getting research funding for the study. We are still looking for participants (both hosts and guests) to conduct interviews later this year. Please, pass the word! Here are the the slides of our BSA presentation. As it happens, the first blog entry of this year turns out to be a summary. However, despite the lack of activity on this website it has been a busy year and I am happy to share some of it’s highlights here. There has been a lot of writing starting from the beginning of the year. Some of the outputs stem from my previous research into Russian migrants’ homemaking practices. To start with, I am very happy to see my article on atmospheres of diasporic homes in the Russian Sociological Review. It has been good and rewarding experience and I am grateful for the support I received from Professor Filippov when I was developing the ideas for this article. There will be two more forthcoming publications that will also finalise my research on Russian migrants homes and identities and will integrate further ideas on diasporic homes and cultures more generally, for instance diasporic food practices. Finally, this year brought interesting writing collaboration in the field of transnational education and student mobility and I am grateful for the opportunity to get introduced to a new research topic. While awaiting the response from the journal I hope that this new interest in transnational student mobility will find a way of developing further. All this research provided good foundation for continuing my interest in the concept of home in the context of migration. I can say that the development of more theoretically and methodologically informed understanding of the concept of home in the context of migration will remain the central theme of my research more generally. One of highlights of this year was the launch of my new project on Airbnb homes, experiences, and places which I carry out together with photographer Ken Kajoranta. In our research that combines qualitative interviews and photography we try to uncover the complexity of experiences related to homemaking in the context of sharing economy from both Airbnb guests’ and hosts’ perspectives. The project has just started and it is currently in its data collection stage. I am very much looking forward to collecting more stories in the new year. I am planning to share how it goes at conferences and will definitely feature the progress of this project on this blog. There are other exciting things that are happening on the front of project development and bid writing in the field of home cultures and identities and I am sure there will be more news on this in due course. 2016 has been also demanding in terms of teaching and development of new modules. 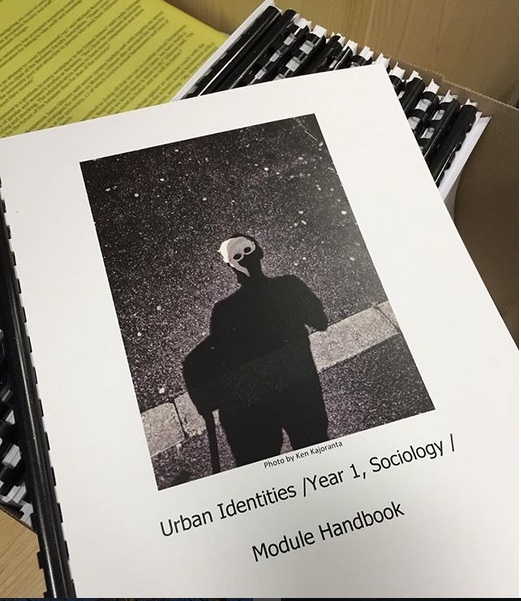 Most of the year has been spent in reading and writing for the two brand new modules for Leeds Beckett Sociology students: the first one, Researching Society will focus on critical thinking, and, the second one, Urban Identities will focus on theories of places/space and identity. Developing new modules from scratch has been a challenging task but in the end it offered an opportunity to revise some familiar theories as well as to approach new material. The focused reading of theory further informed my interests in concepts of space/place, homes and migration, culture and identity and certainly had an impact on my theoretical approach more generally. I am looking forward to the beginning of the new term when I could present all the new material to the students. There is certainly a lot more to learn for all of us and I am excited about this prospect. In October 2015 I made a brief, but eventful visit to Moscow as part of my involvement (for last time!) as an external examiner with Moscow School of Social and Economic Sciences. The visit presented a great opportunity to catch up with colleagues and participate in discussions about studies of Russian identity from the perspective of Moscow-based scholars. I am very happy to announce my upcoming talk titled "Studying Migrants Homes: Ethics, Participatory Ethnography and Visual research". It will take place at the Department of Sociological Research Methods at Higher School of Economics on October 22, 6:10 pm.